Collegiate cool from Philadelphia’s RFA (Really Fast Automobiles). The baby-faced garage quartet bring a WD40-polished touch to their three-song EP, Freaking Out. Bearing early-aughts’ touch points, Freaking Out happily lacks any hipster cachet. The anxious title track underlines the redundancy of life from a pre-professional mindset while the childish sentiment of the aptly-titled “Teenage Love Song” underpins the emotional whirlwind of young lust. RFA’s pop edge reveals itself on “Too Much,” with singer Dan Cousart’s versatile lyrical phrasing drawing out the song’s desperation. 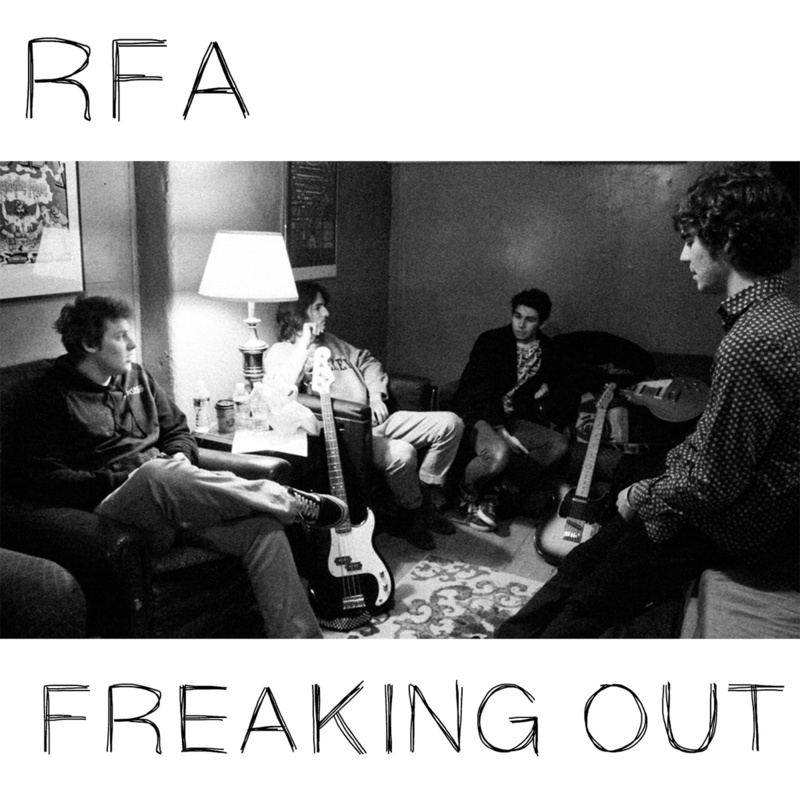 Capturing the sound and uncertainty of youth in a brief 12 minutes, RFA’s Freaking Out is a musical rite of passage to be enjoyed by all ages.